The Dubuque NAACP has teamed up with DOME ALL Sports to present this award. This award is reserved for a minority student of color who has shown Hard Work not only in their respective sport(s) but in the classroom as well. 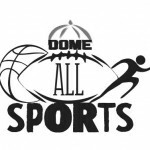 DOME stands for Developing & demanding One’s Mental Excellence and that is something we want student athletes in the Dubuque Community to pursue and display for their entire lives.